Do you think you could be a pro fighter? Take a look at these violent photos, then get back to us. Before you follow that train of thought, take a look at this photo. It’s of Robbie Lawler, the UFC welterweight champion. 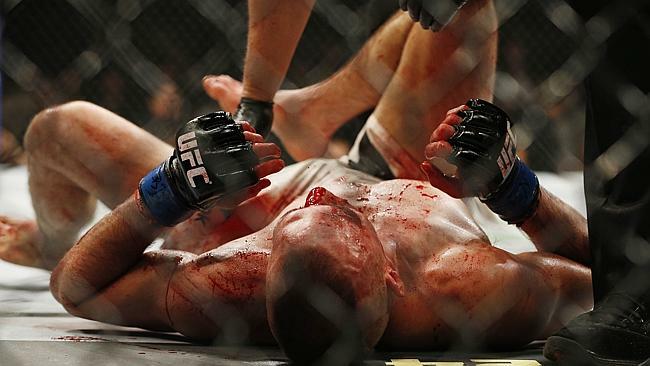 On Saturday night, he defended his title against Rory MacDonald. The title defense was successful. What the hell! He won the fight. Half of his lip is hanging off! 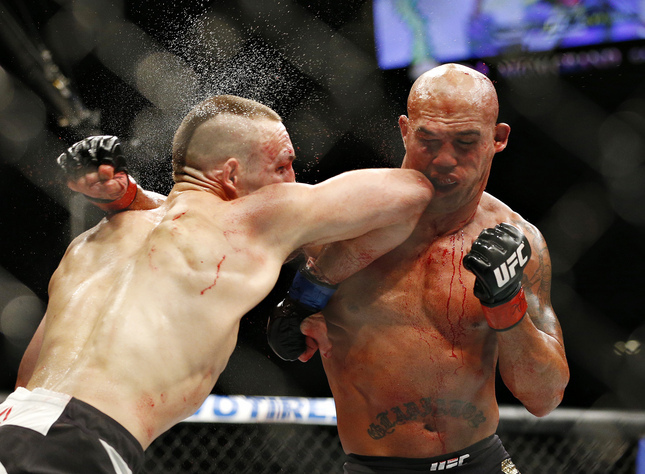 “Robbie Lawler’s lip, if you could’ve been in the Octagon and saw this lip, he would talk and this part of the lip would move and the other part wouldn’t,” said UFC president Dana White, about the guy who won the fight. The man he beat was worse off: MacDonald suffered a broken nose and foot, and, in the fight’s immediate aftermath, reportedly didn’t know what year it was. He later posted this photo, and confirmed his injuries. After their fight — which was one of the best in recent memory — they posed together in the hospital as a sign of mutual respect.